I do not remember when I first heard about this book. I feel as though it simply appeared in my conscious without a formal introduction. Once there, I heard about it everywhere. Well, ok, not everywhere. After all, aside from a moderate knowledge of the dystopian genre, I spend basically no time exploring the latest and greatest in the world of young adult literature. Yet, somehow, this book not only made me aware of its existence, but also perked my interest enough to get into my hands. It is exactly the type of book that I don't read. Teenage girl, dying of terminal cancer, falls in love with another cancer patient. 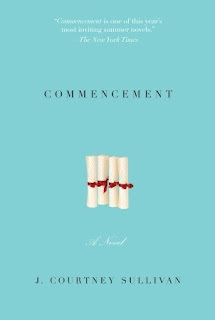 Everything I do not like in books should have been here: teenage angst, depressing plot, canned emotional responses to complex situations. Usually even things like good reviews are enough to steer me away from a book like this. I do not know why, but I overlooked those likelihoods in this case and am so glad I did. 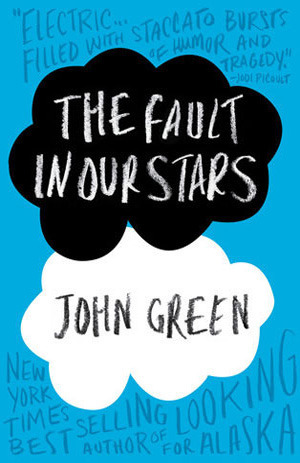 While I am not saying The Fault in Our Stars is entirely void of such literary attributes they are, at least, disguised or handled well. After achieving last year's goal to read 52 books, I set out on a new, very different journey. Over the next several years, I am aiming to read what Modern Library has declared the 100 Best Novels of all time. If you read my last post, you know that I have started Ulysses by James Joyce, but have discovered already how much of a challenge it will present. I did not want to abandon the challenge while I try to work through that beast. 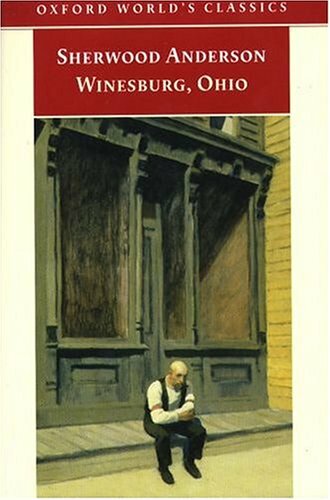 So, instead, Sherwood Anderson's little classic Winesburg, Ohio will officially be my first completed book on the list. I read Anderson's book in high school for my AP American History course. 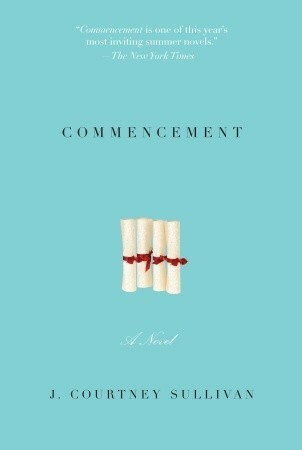 Just like Remains of the Day, it proved itself to be a book I simply was not ready for intellectually. Perhaps my natural disdain for Ohio (I have lived here my entire life) created a bias against the book. More likely, however, I believe I saw the stories Anderson presents as too mundane to appreciate that very quality as their message. I will be the first to proclaim I purposefully avoid stereotypical "chick lit." It rarely is well written and the characters mold themselves into such irksome stereotypes. Seriously, people, the world needs to stop writing books they think women will like and start writing books that are worth reading. Ok, stepping off my miniature soapbox now. My point, however, still stands that chick lit wastes your time most every time. And yet here I sit, about to tell you all about the book I finished not fifteen minutes ago and I realize, with an increasingly sinking feeling, that it can be categorized as chick lit. And....I liked it? A few weeks back, I completed the first book in Christopher Paolini's Inheritance Cycle, Eragon. 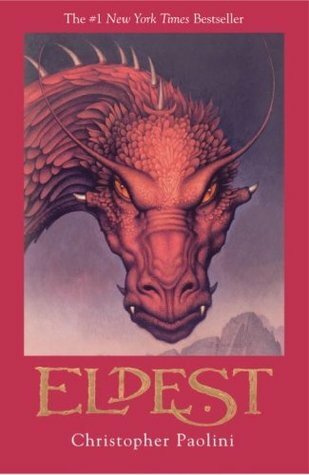 If you read that post, you know I did not find Paolini's work as anything more than entertaining. He has not changed my mind on that front. I teach an Introduction to Humanities course at the university where I work and we spend a lot of time with those students discussing the difference between fine art and entertainment. One activity we have them do is compare and contrast works in the same genre that they deem to fall on either end of the spectrum. To me, the Inheritance Cycle contrasts perfectly with Harry Potter or Hunger Games. As proven recently by The Girl Who Was on Fire, Suzanne Collins' work has depth and countless layers to examine. Paolini, on the other hand, continues to present a story with little character development and a predictable plot. Eldest, the second book in the series, did have some marked improvements over its predecessor. For one thing, Paolini's parents either bought him a thesaurus or his vocabulary dramatically improved through SAT prep courses (he wrote these first few books while still a teenager). This, for me, was an important improvement and did a lot to enhance the book. I even found myself using the dictionary provided in my Kindle app to get a precise definition from time to time, which is extremely rare for me. I love new words and am always on the lookout for ones that will be useful in conversation or writing. Did you know there are more than a million words in the English language? And most of us know less than half of them. Ok, soapbox over. My point is that Paolini's increased vocabulary was a selling point for me. Of course, I suppose it could be argued that Paolini was hiding a mediocre novel behind big words.